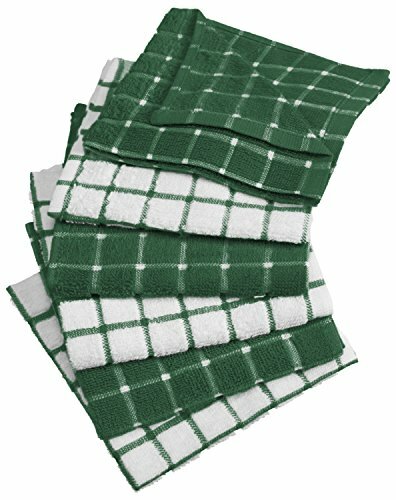 DII's Windowpane Dish Cloths and Dish Towels set are customers’ all-time-favor. DII offers these dish cloths and dish towels at an affordable price with high quality. PERFECT DISH CLOTHS TO TACKLE ANY JOB: Set of 6 dishclothes measures 12 x 12" to tackle all of your drying, wiping and cleaning kitchen tasks.